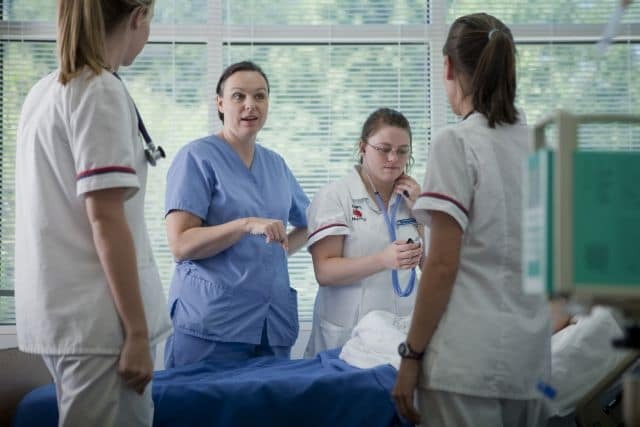 Delegation in nursing is a daunting task, but an essential part of nursing. When done correctly and with practice, delegation in nursing is very rewarding. It makes you and your team more organized and efficient like a well-oiled machine always ready to provide nursing care to your patients. Here are six nursing delegation strategies you can start with. 1. Get to know your team. The first step in nursing delegation is knowing your team. If it’s your first time working in a unit or with a new team, it’s wise if you can get to know them first. Asking them questions, such as when they first started and how long they’ve been working in the area, is a good way to start building a positive working relationship. You can also use it as a way to break the ice and to make your CNAs feel valued and important. 2. Make them feel involved. Assigning tasks aren’t limited to asking your team to perform specific tasks. Part of delegation in nursing is to exert more effort in making them feel more involved with the health care of your patients. It may seem unnecessary at first but, in reality, it will be beneficial not only to you and your team but your patients as well. “Each start of the shift, I make it a point to discuss what my plans are for the whole 8 hours. It’s my habit to let everyone know who needs to get turned and when who’s in line for discharge and who’s at risk for seizure or fall. This practice enables everyone to feel like they belong to one team with one goal in mind- quality patient care,” a veteran nurse shared. Your CNA’s skills when it comes to prioritization may not be as advanced as yours. They may react inefficiently, or even get confused, particularly when faced with too many tasks to perform. As a leader, it is your responsibility to understand and help everyone on your team to grow. You can redirect them in case they erroneously prioritized their tasks or guide them whenever they feel overwhelmed with the work. “Whenever I point out something to my CNAs, I always make sure to provide an adequate explanation. While pointing out can correct behavior, it will not help with retention. By explaining, however, you get to correct a wrong action, and you also prevent it from happening again,” a six-year head nurse said. As much as you want to meet all your patients’ needs, you just can’t attend to eight call bells at once. Having a good CNA to work with can help lift off some of the work of your plate while making sure that all patients are well-attended. Showing your team appreciation for all the hard work they’ve done will not only make them feel valued, but it can also be a way to make them feel motivated. The licensed nurse along with the employer and the delegatee is responsible for ensuring that the delegatee possesses the appropriate skills and knowledge to perform the activity. The activity falls within the delegatee’s job description or is included as part of the established written policies and procedures of the nursing practice setting. The facility needs to ensure the policies and procedures describe the expectations and limits of the activity and provide any necessary competency training. Each delegation situation should be specific to the patient, the licensed nurse, and the delegatee. The licensed nurse is expected to communicate specific instructions for the delegated activity to the delegatee; the delegatee, as part of two-way communication, should ask any clarifying questions. This communication includes any data that need to be collected, the method for collecting the data, the time frame for reporting the results to the licensed nurse, and additional information pertinent to the situation. The delegatee must understand the terms of the delegation and must agree to accept the delegated activity. The licensed nurse should ensure that the delegatee understands that she or he cannot make any decisions or modifications in carrying out the activity without first consulting the licensed nurse. The health condition of the patient must be stable. If the patient’s condition changes, the delegatee must communicate this to the licensed nurse, and the licensed nurse must reassess the situation and the appropriateness of the delegation. The licensed nurse is responsible for monitoring the delegated activity, following up with the delegatee at the completion of the activity, and evaluating patient outcomes. The delegatee is responsible for communicating patient information to the licensed nurse during the delegation situation. The licensed nurse should be ready and available to intervene as necessary. The licensed nurse should ensure appropriate documentation of the activity is completed. Sitting down to work on your charts while one of your CNAs is running around assisting patients after patients to use the bathroom isn’t only impolite, it’s unprofessional, too. Your team helps you out during your shift, so it’s only respectful that you extend help to them as well. It doesn’t necessarily mean you have to carry the tasks all by yourself but taking some of the workloads, particularly when they’re overwhelmed, can surely make them feel like you belong to the same team. “We literally have each other’s back when on duty. Even when we’re doing separate tasks, we still make it a point to ask each other if we can use some help. Most of the time, we don’t even need to ask. It just happens automatically,” a ward nurse said. How do you handle delegation in nursing? Are there other strategies you use aside from the ones on this list?